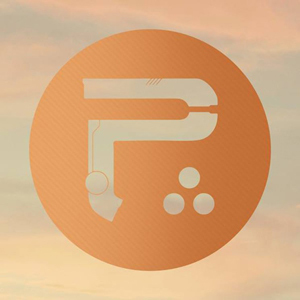 PERIPHERY, the D.C.-based prog innovators who have graced the covers of Modern Drummer, Guitar World and Revolver, return this summer with a new album, Periphery III: Select Difficulty (July 22, Sumerian Records) and a U.S. tour, dubbed the "Sonic Unrest" tour, which launches on Aug. 4. 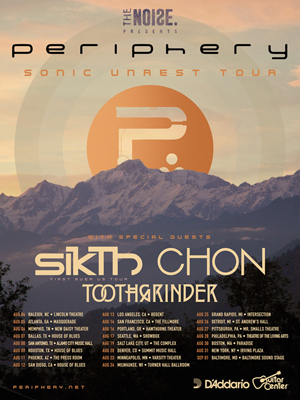 The "Sonic Unrest" tour, a month-long outing, sponsored by D’Addario and Guitar Center, includes openers SIKTH, CHON and TOOTHGRINDER and kicks off on Aug. 4 in Raleigh, NC. Tickets are on-sale this Friday at 10 am local time. VIP packages, which feature a private meet and greet with the band as well as a limited edition, exclusive poster are available simultaneously via www.periphery.net.